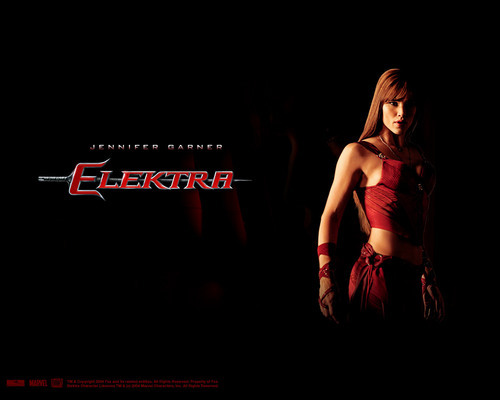 Elektra. . HD Wallpaper and background images in the Action Films club tagged: action movies wallpapers official 2005 elektra jennifer garner. This Action Films wallpaper contains konser. There might also be gaun malam, makan malam gaun, formal, makan malam pakaian, gaun makan malam, formal gaun malam, gaun koktail, selubung, cocktail gaun, potret, headshot, and closeup.